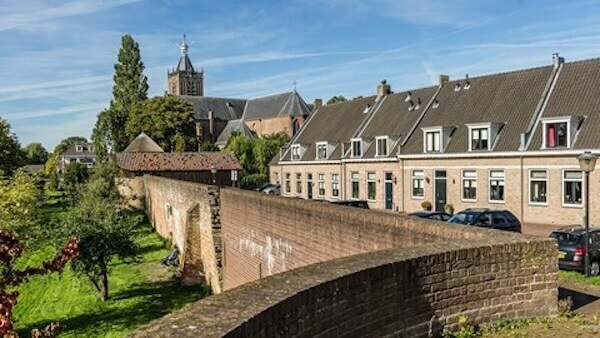 These lines of a famous poem by the Dutch poet Marsman characterize this wonderful journey between Amsterdam and Maastricht, the southernmost city in the Netherlands. 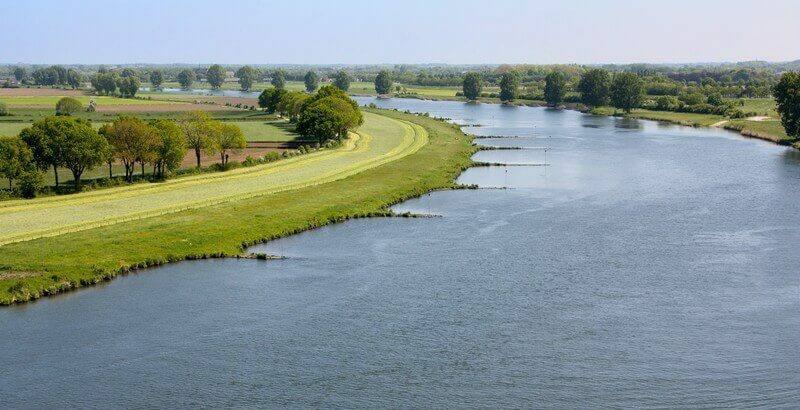 Discover magical flat and green landscapes formed by the rivers Vecht, Lower Rhine, Waal, Linge and Meuse: a tangle of old gullies, cut-off meanders, dikes and flood plains with a typical flora and fauna. 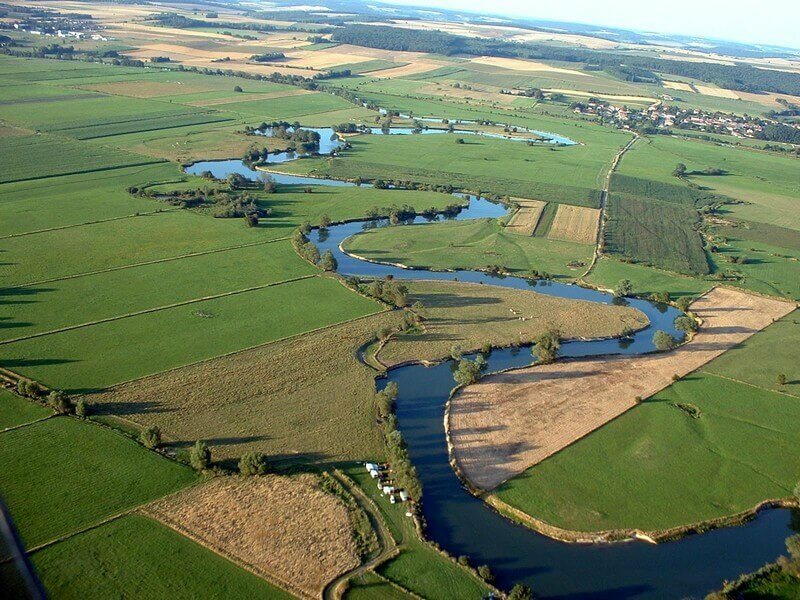 Visit historical towns, remarkable villages and some castles and gardens along these rivers. 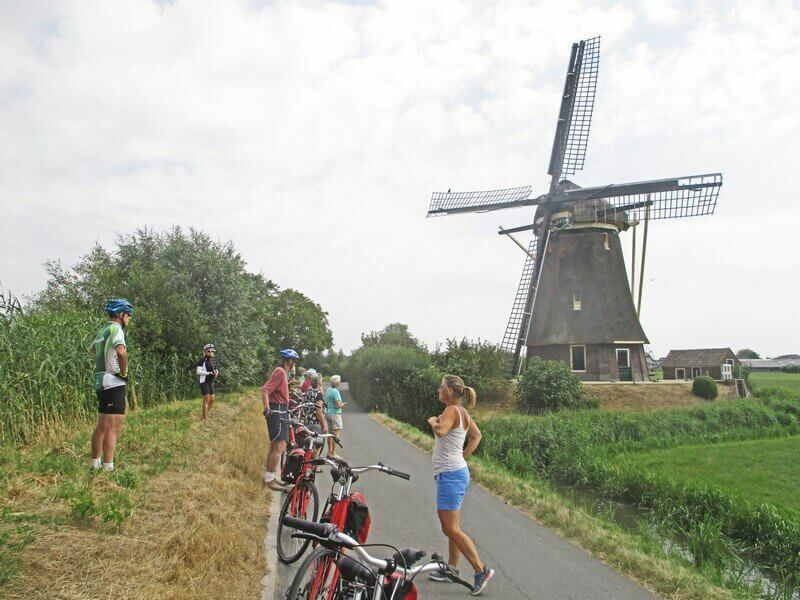 In the hospitable province of Limburg, cycling tours will cross borders regularly: although the Meuse flows through the Netherlands, Germany and Belgium are only a stone’s throw away. 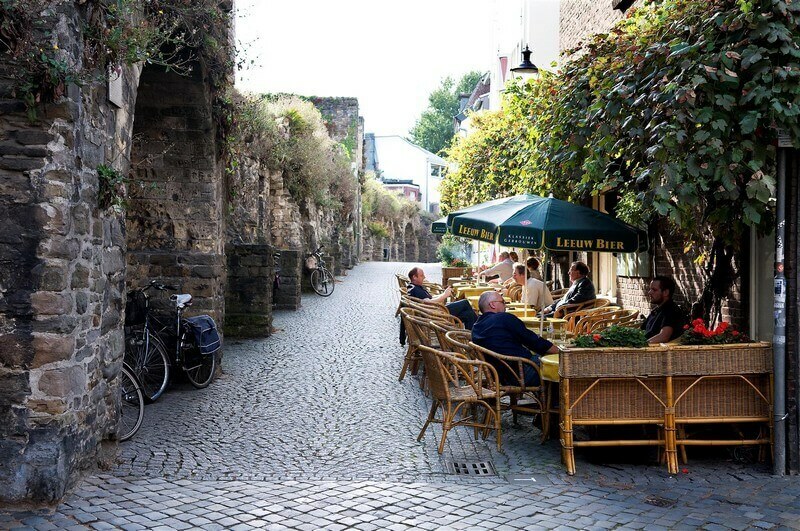 You can eat ‘Kuchen’ (cake) in a German ‘Konditorei’ in the morning and have a delicious afternoon beer in a street café in a Belgium village. 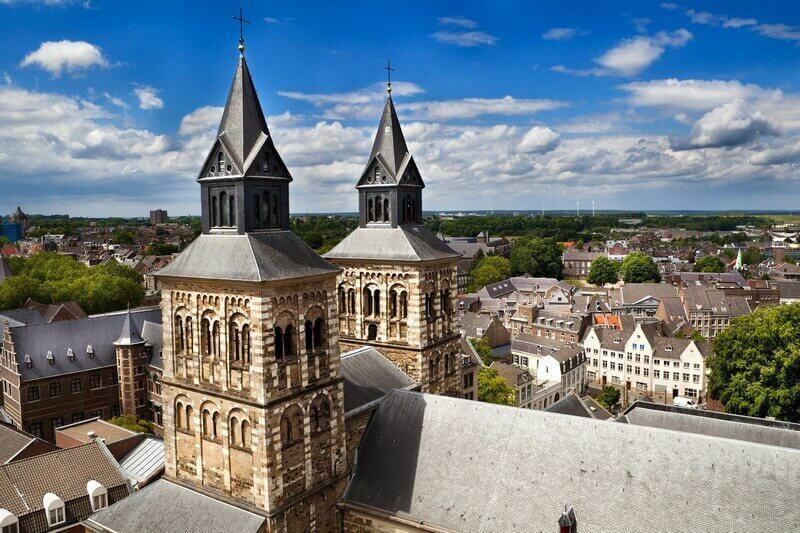 The journey ends in Maastricht, the capital of the province of Limburg, famous for its lively center and vibrant hospitality. 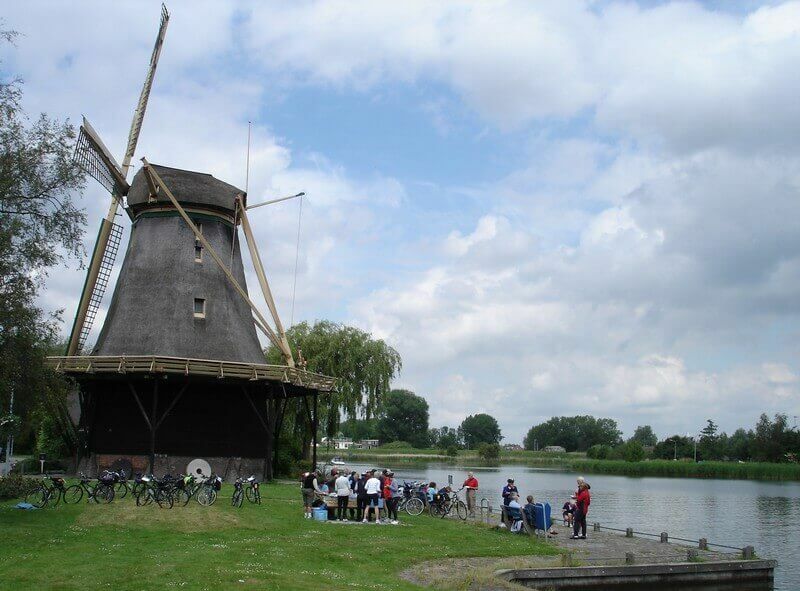 From Vianen you cycle through a typical Dutch landscape to Leerdam a little town on the banks of the river Linge. Leerdam is famous for its glasswork. 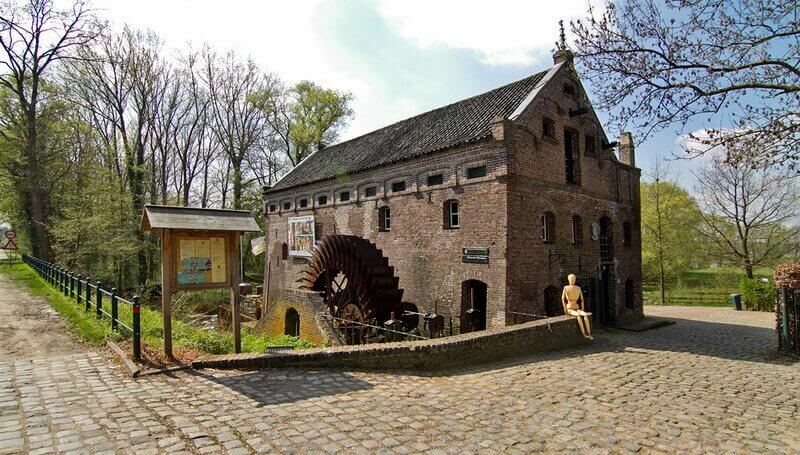 A visit of the centuries-old crystal factory of Royal Leerdam is on the program. You can see a team of master glass blowers at work. 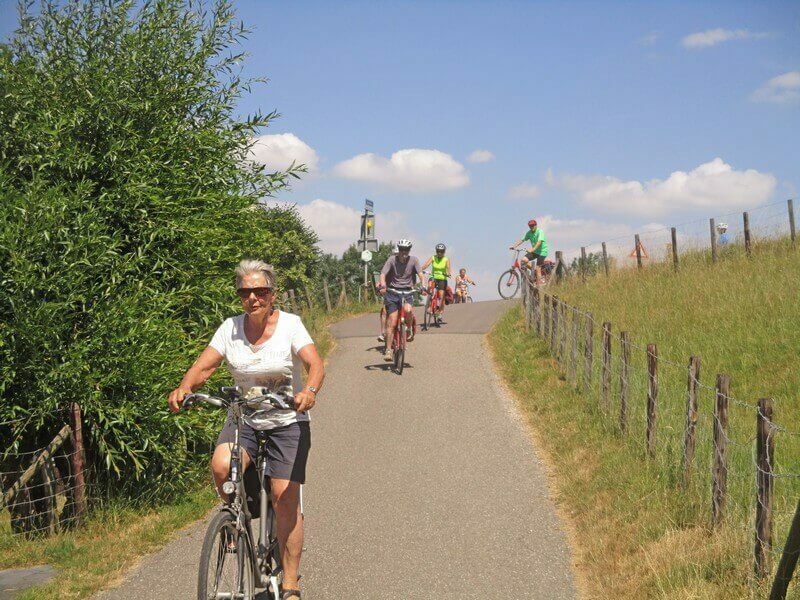 Later on you continue biking on the beautiful roads along the Linge to Gorinchem, a charming town on the river Waal. 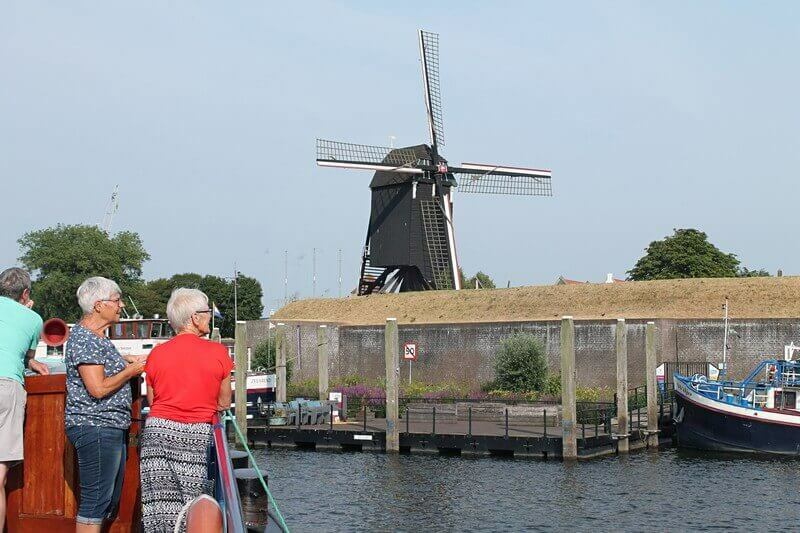 After a short visit, you will join the barge to Heusden. 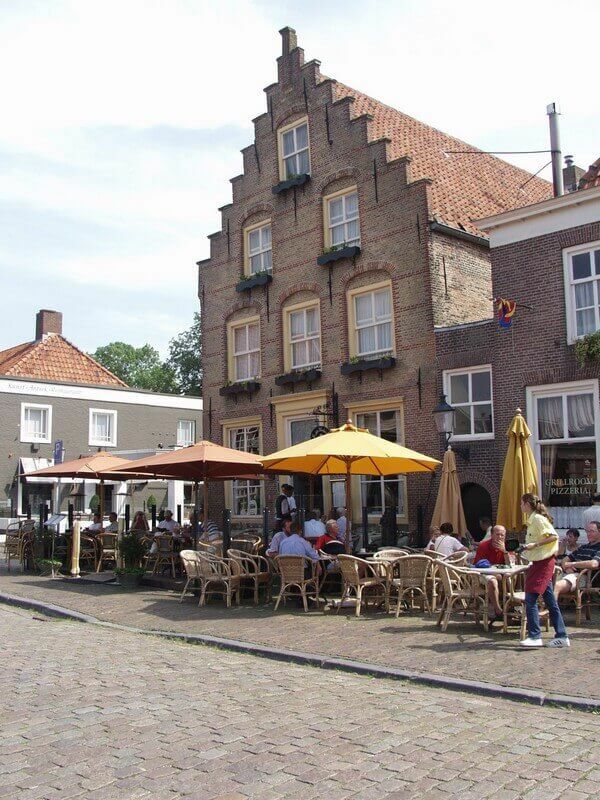 During breakfast the ship sails from Heusden to Maasbommel, a village on the Maas river. 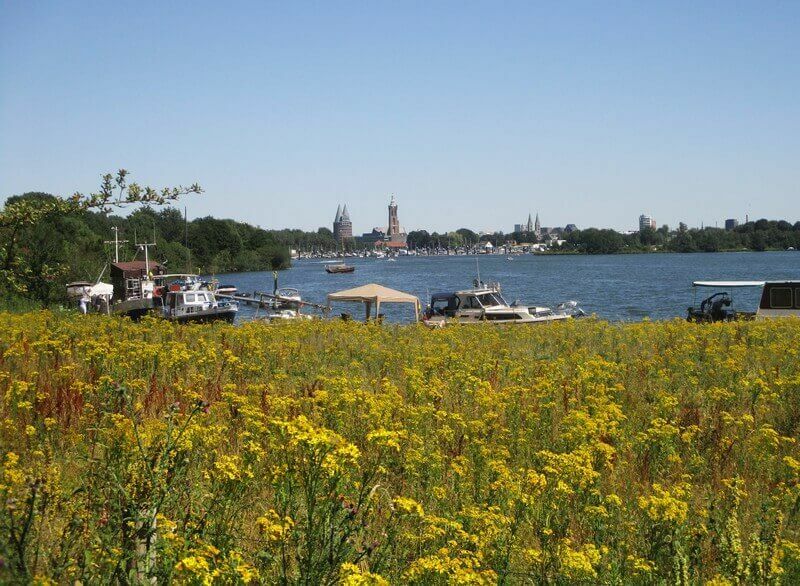 Here your bike tour will start, leading you along the Maas river to cities as Ravenstein and Grave. Both are medieval cities. In Ravenstein you can visit the Tanner’s Cottages and in Grave you will see canons from the time of Napoleon. 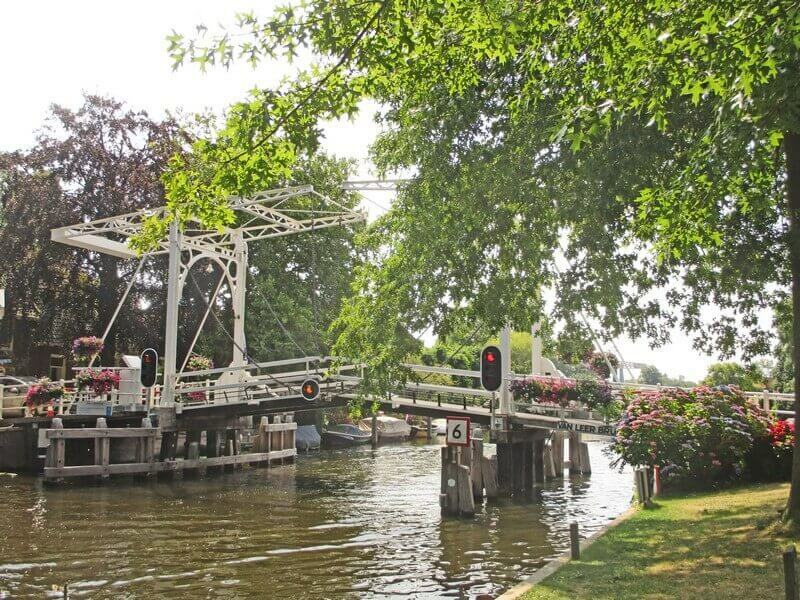 Grave has also played an important role in Operation Market Garden during the second world war, because it was situated near an important bridge. This bridge is now called John S. Thompson Bridge. 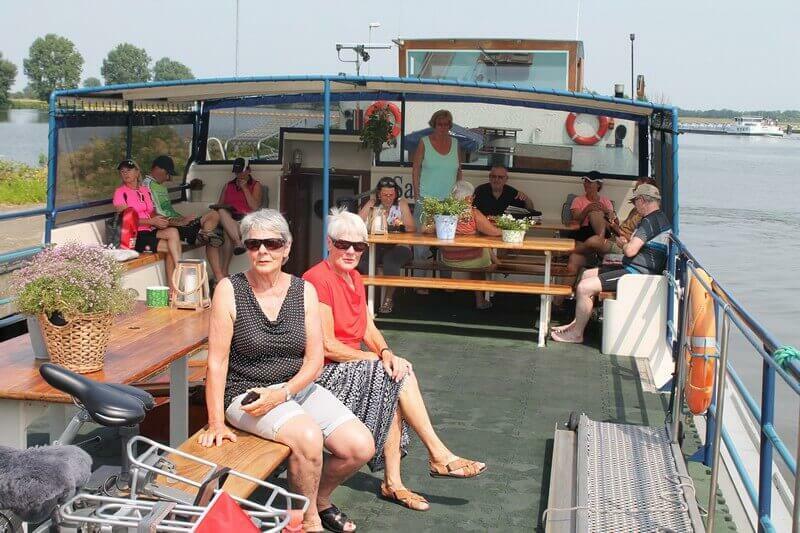 Following the Maas river you will meet the barge in Cuijk where you will spend the night. The St. Martins Church, a neo-gothic church, houses a very well kept baroc-organ (built 1639-1650). This organ is one of the oldest in the Netherlands. 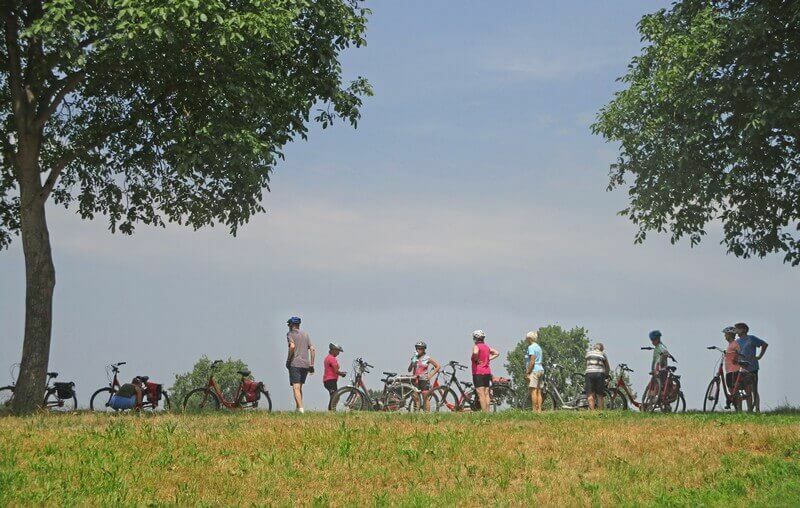 Today a magnificent bike tour is scheduled. 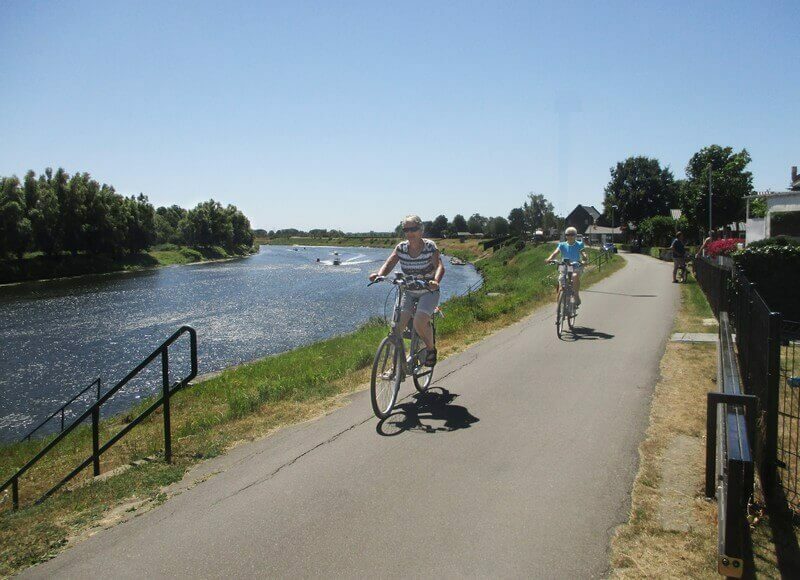 You cycle along the Maas valley to Afferden and Heyen. 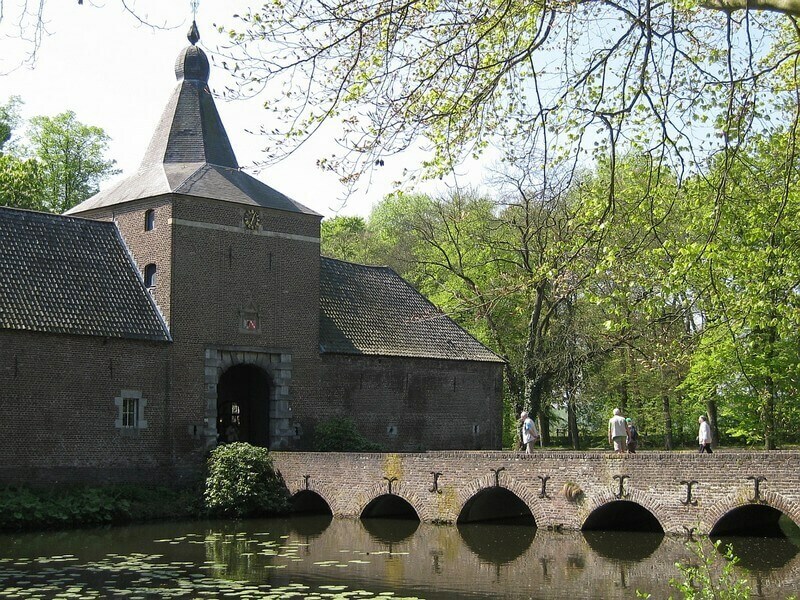 The route continues through National Park Maasduinen to Well where you will find the Well castle with its heavy round brick tower dating from the 14th century. The destination for today is Arcen. Here you may visit the famous castle gardens with a great variety: the Rosarium, with ten different rose gardens; the water- and sculpture garden; the Lommerijk, with shades, waterfalls and streamlets; the Valley, offering six ‘international’ gardens ; Casa Verde, offering Mediterranean and tropical gardens; the Golf garden,with a view at the largest waterfall in the Netherlands. 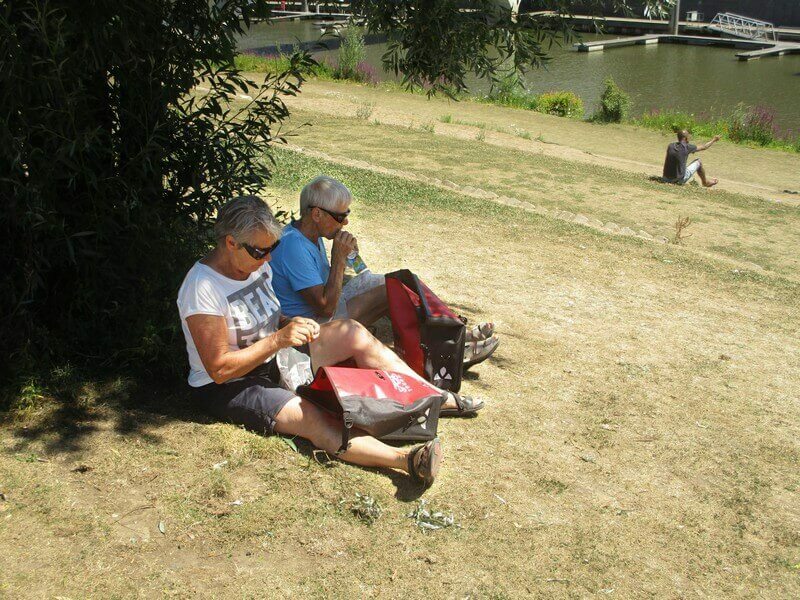 Again your bike route follows the Meuse river. Here and there you cross by ferry or bridge in order to follow the most interesting paths. 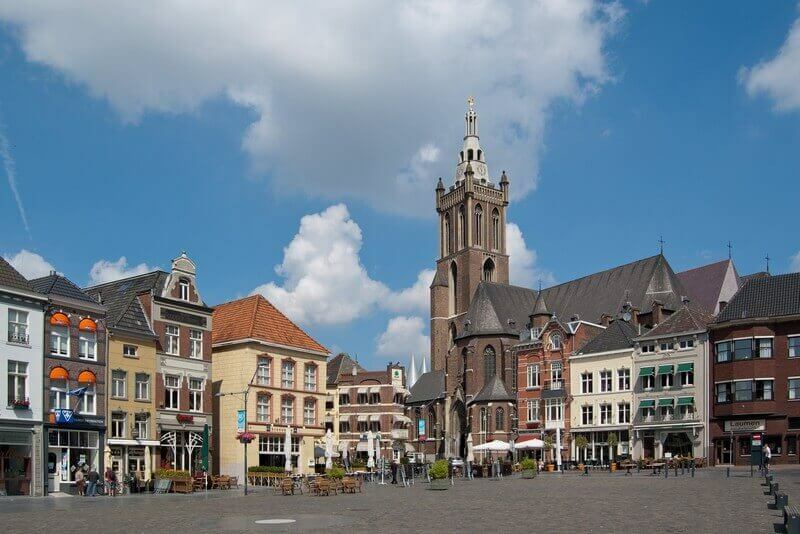 The first stop is Venlo, with many historical monuments and a lively inner city. 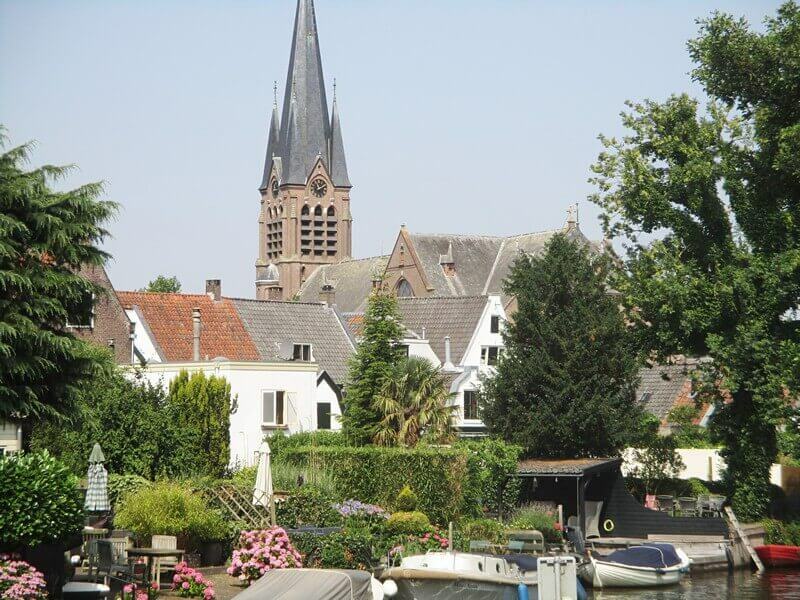 At lunchtime you arrive in Kessel, one of the oldest villages along the Meuse. There you cross over to the other bank and continue the bike ride to the beautiful village of Beesel, where the grain mill ‘grey bear’ stands proudly along the river. 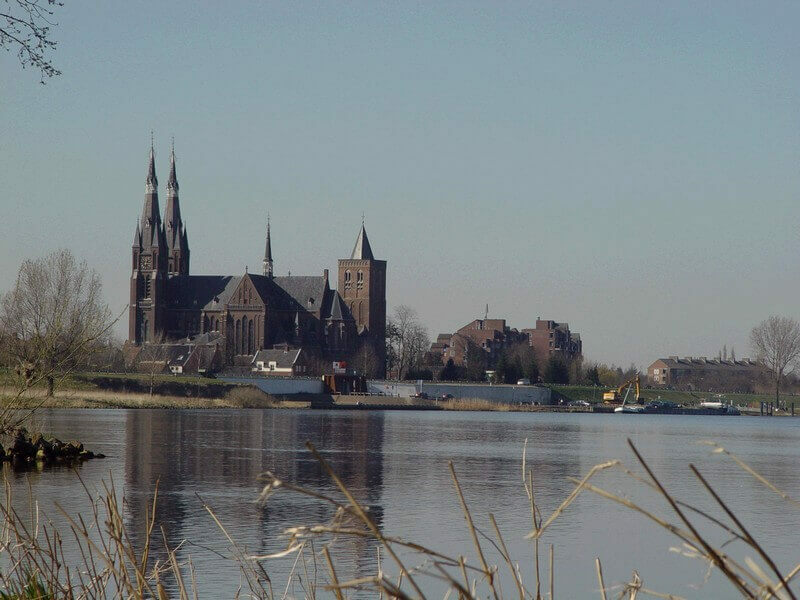 Todays’s tour ends in the city of Roermond, where of the river Roer and Meuse come together. 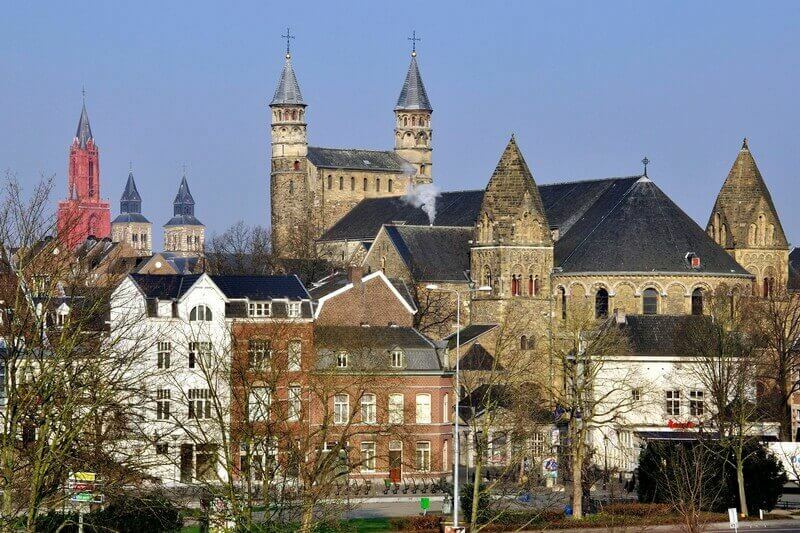 Roermond is known by its rich cultural heritage. Since 1559 it has been a bishop city. In the centre you will find many historical buildings. 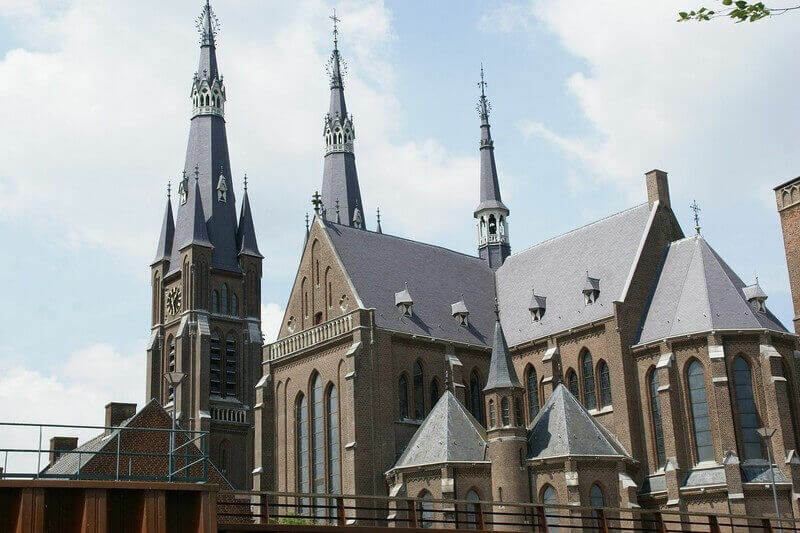 Roermond is also the city of Pierre Cuypers, according to many the most important Dutch architect of the 19th century. 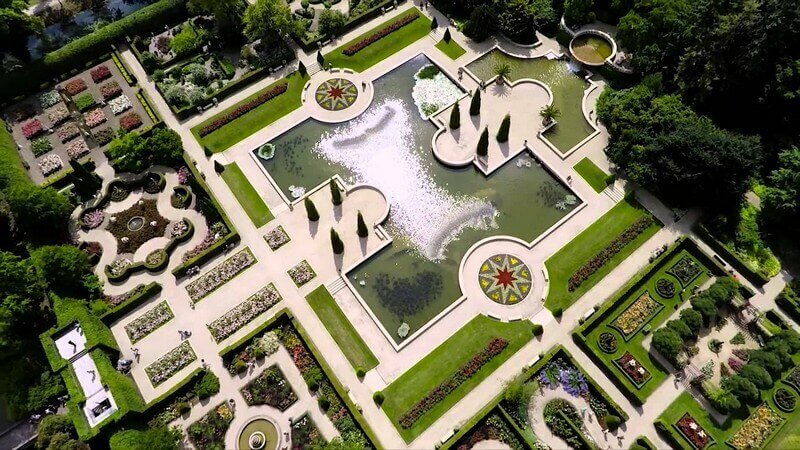 He is the architect of the Rijksmuseum and Central Station in Amsterdam. Embarkation and check-in where the crew will welcome you on board is between 1 p.m. and 2 p.m. After the welcome meeting there is time for bicycle fitting and a short test-ride. After dinner the tour leader will take you for a walk through the centre of town. 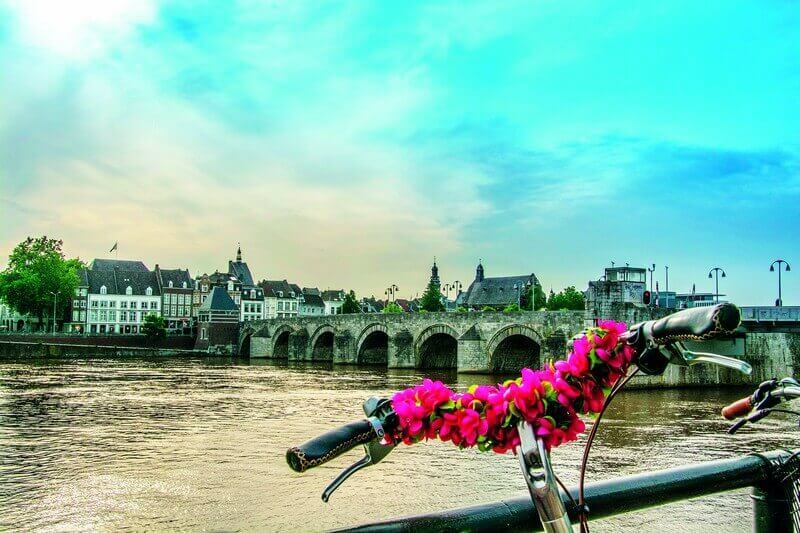 We advise you to come to Maastricht one or more days earlier, so that you will have plenty of time to discover this interesting city. 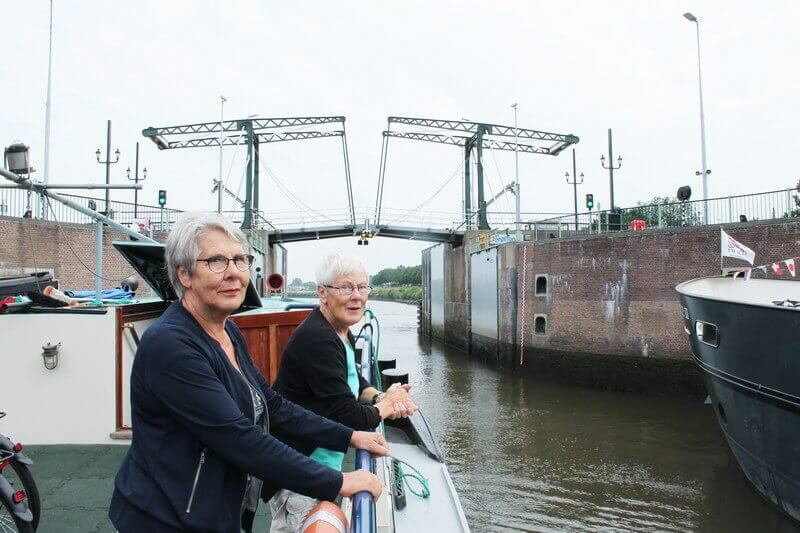 During breakfast you join the barge to Born via the Juliana Canal, where you disembark at the locks. From here you bike over the Dutch/Belgian border into Belgium to Maaseik. This town is famous for the painters Hubert and Jan van Eyck. On the market square you see typical renaissance houses with their impressive facades. 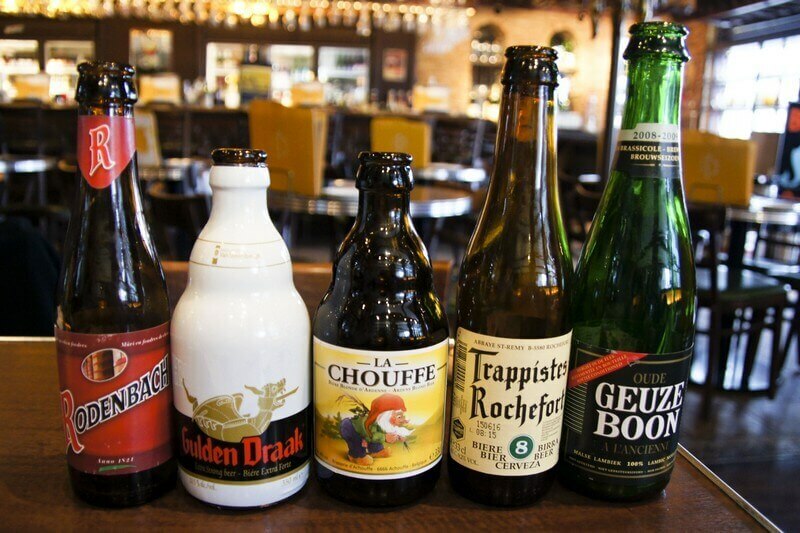 You can also use the opportunity to try a Belgian “pint” on this beautiful square. 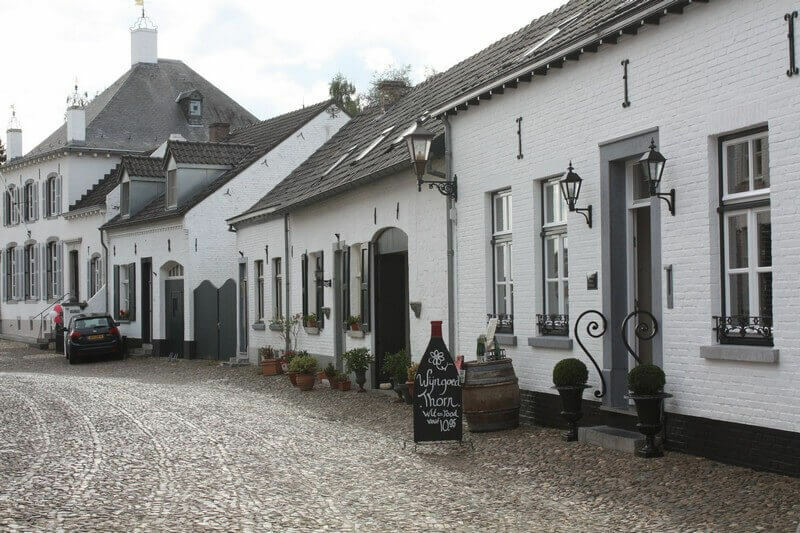 Then you continue to Thorn, the ‘white Village’ on the Dutch/Belgian border known for its cobblestone streets and white painted houses. The only non-white building is the 14th-century church. 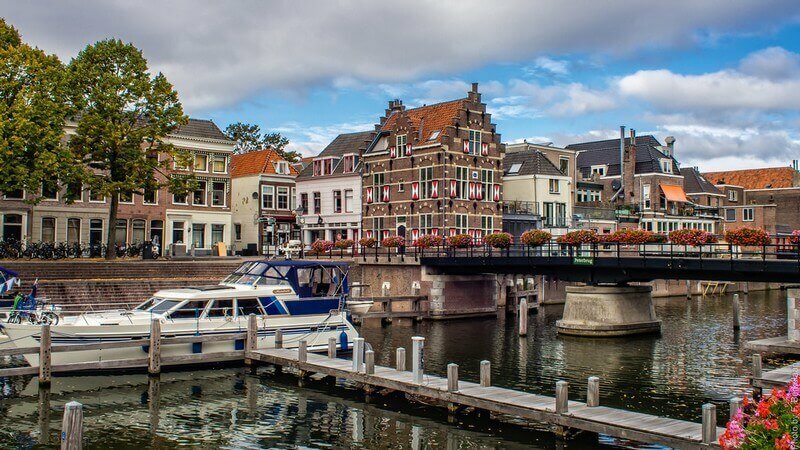 Our destination for today is the city of Roermond, where of the river Roer and Meuse come together. 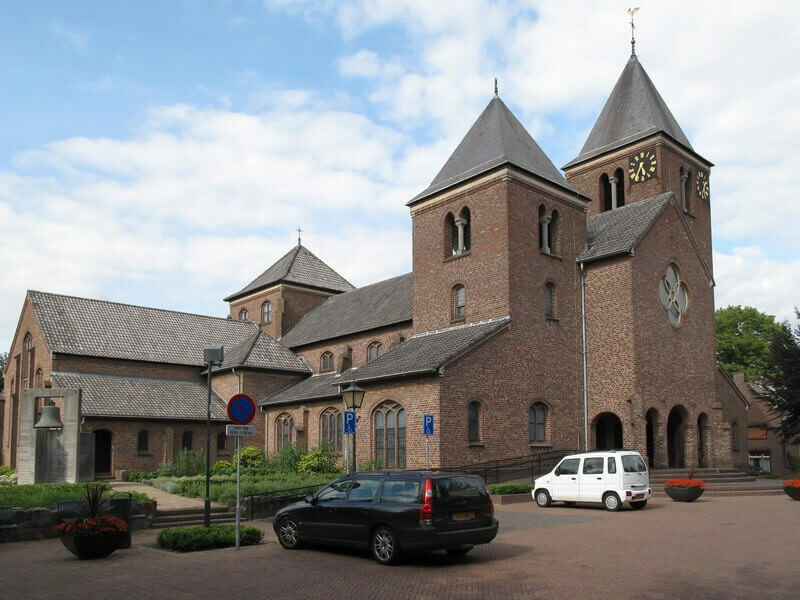 Roermond is known by its rich cultural heritage. Since 1559 it has been a bishop city. In the centre you will find many historical buildings. 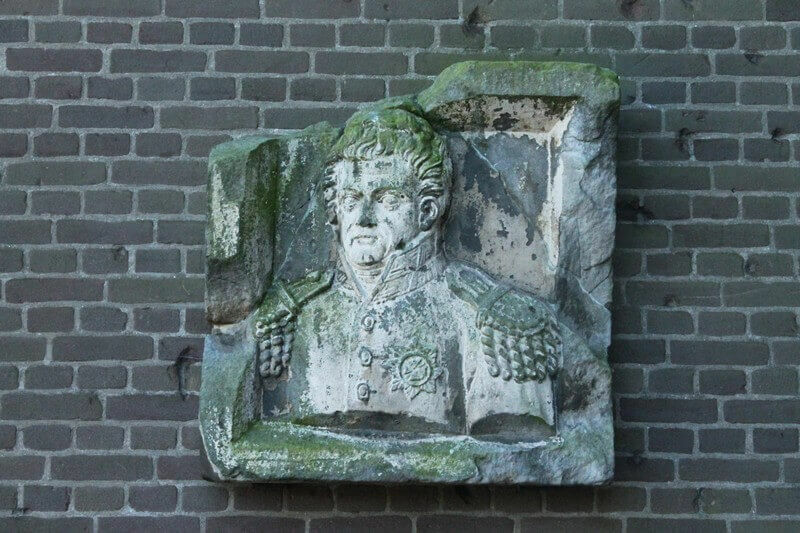 Roermond is also the city of Pierre Cuypers, according to many the most important Dutch architect of the 19th century. He is the architect of the Rijksmuseum and Central Station in Amsterdam. 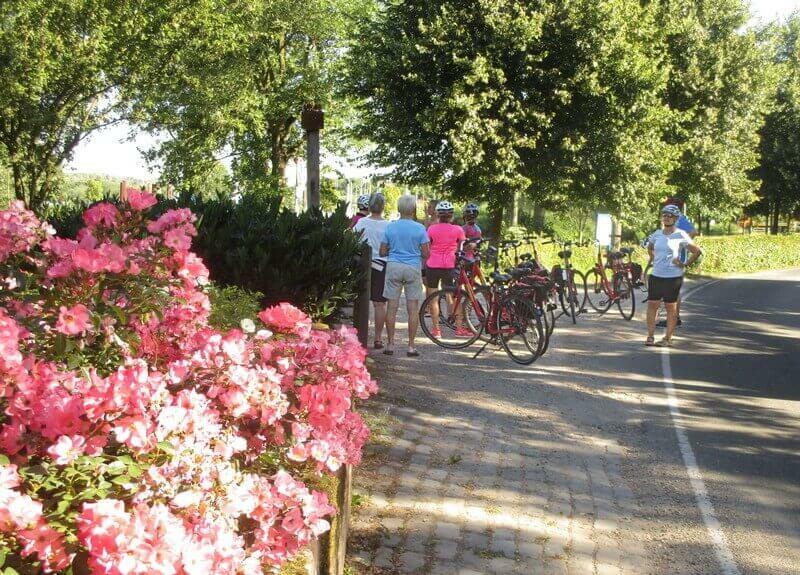 Today you start biking from Roermond. First you follow the river on the east bank to the beautiful village of Beesel, where the grain mill ‘grey bear’ stands proudly along the river. Then you cross over to the other bank to Kessel. Kessel is one of the oldest villages on the Meuse. 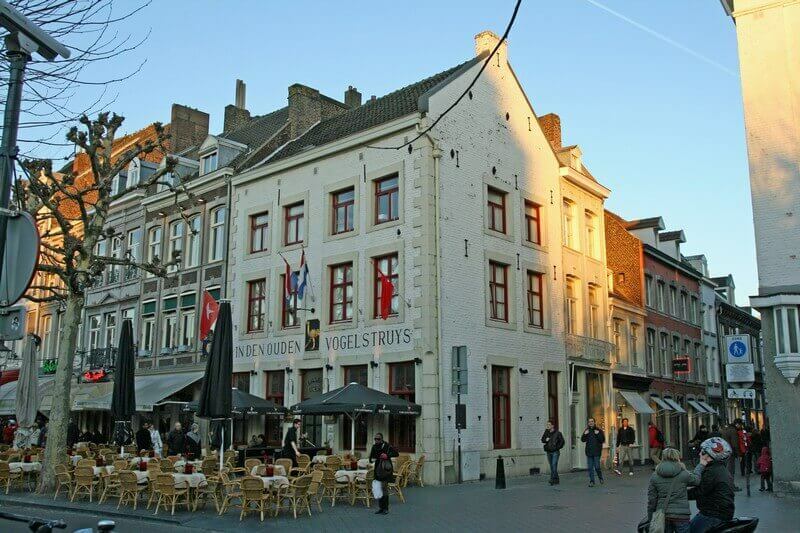 At lunchtime you arrive in Venlo, with many historical moments and a lively inner city. 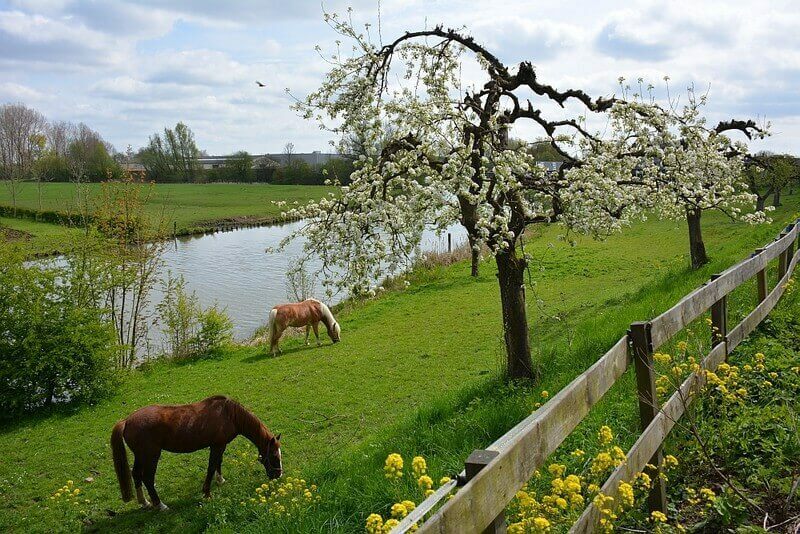 In the afternoon you ride to Arcen, a former fortified town on the banks of the Meuse. There you can visit the beautiful castle gardens: the Rosarium, with ten different rose gardens; the water and sculpture garden; the Lommerrijk, with shadows, waterfalls and streams; the valley, with six ‘international’ gardens; Casa Verde, with Mediterranean and tropical gardens; the golf garden, overlooking the largest waterfall in the Netherlands. 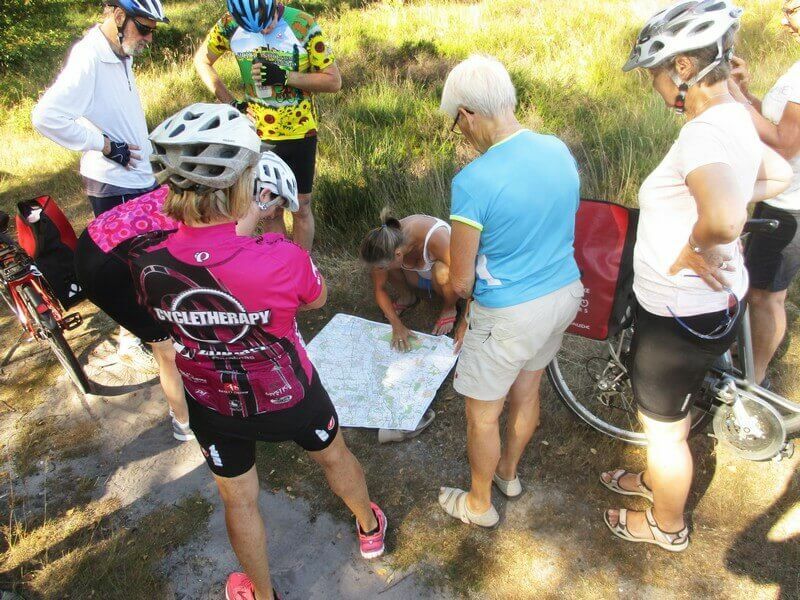 Today a magnificent bike tour is on the program. First you will bike pass Well where you find the Well castle with its heavy round brick tower dating from the 14th century. 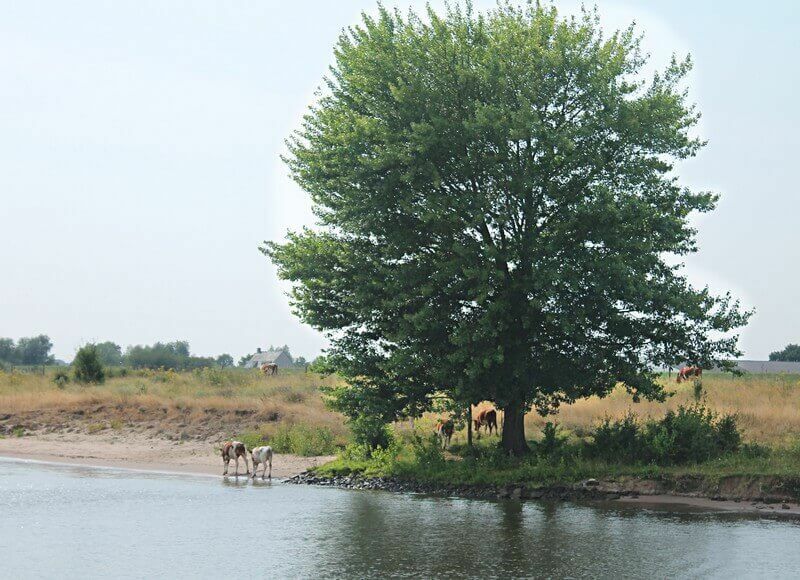 You continue through the National Park Maasduinen close to the German border. Around lunchtime you arrive in Afferden. 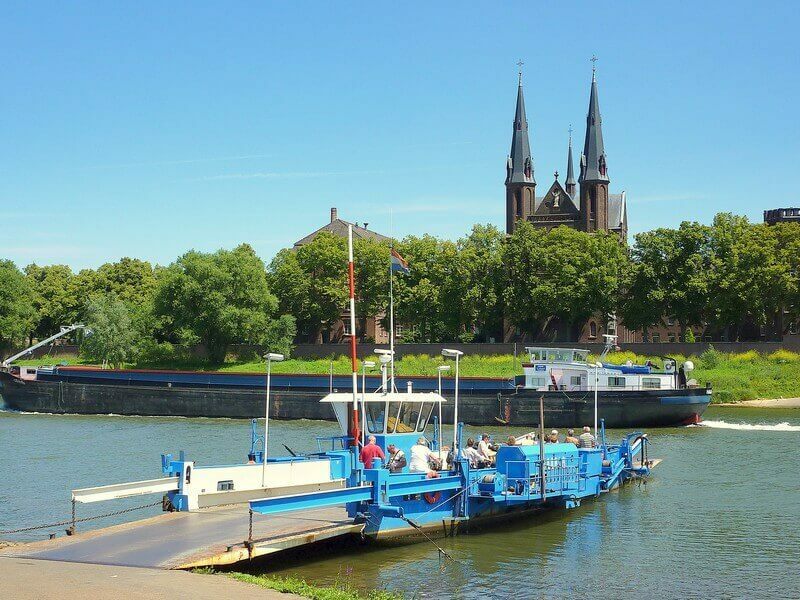 You will find the barge again in Cuijk, another interesting city on the banks of the Meuse. The St. Martins Church, a neo-gothic church, houses a very well kept baroc-organ (built 1639-1650). This organ is one of the oldest in the Netherlands. 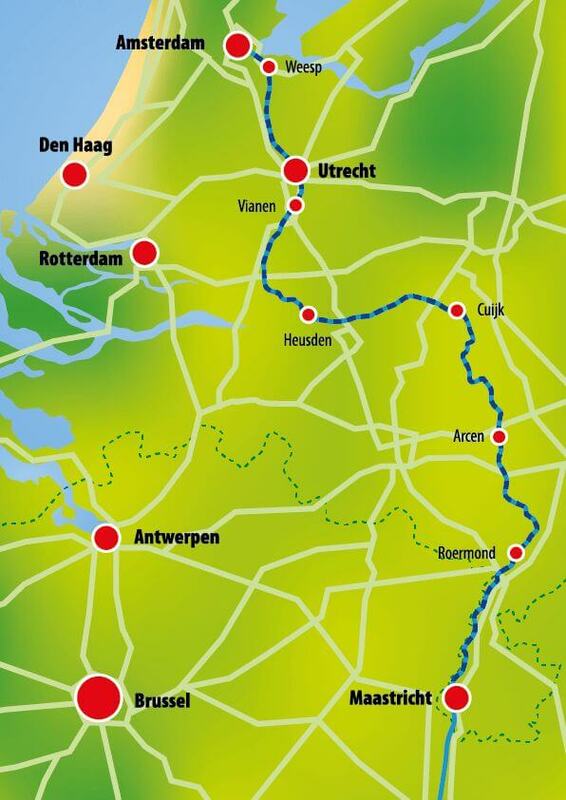 Today you bike from Cuijk along the Meuse river to the cities Grave and Ravenstein. Both are medieval cities. In Grave you will see canons from the time of Napoleon. 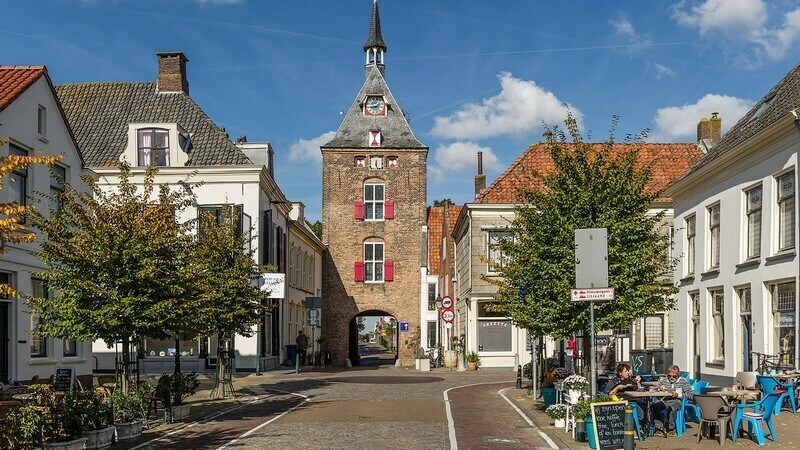 Grave has also played an important role in Operation Market Garden during the second world war, because it was situated near an important bridge. This bridge is now called John S. Thompson Bridge. 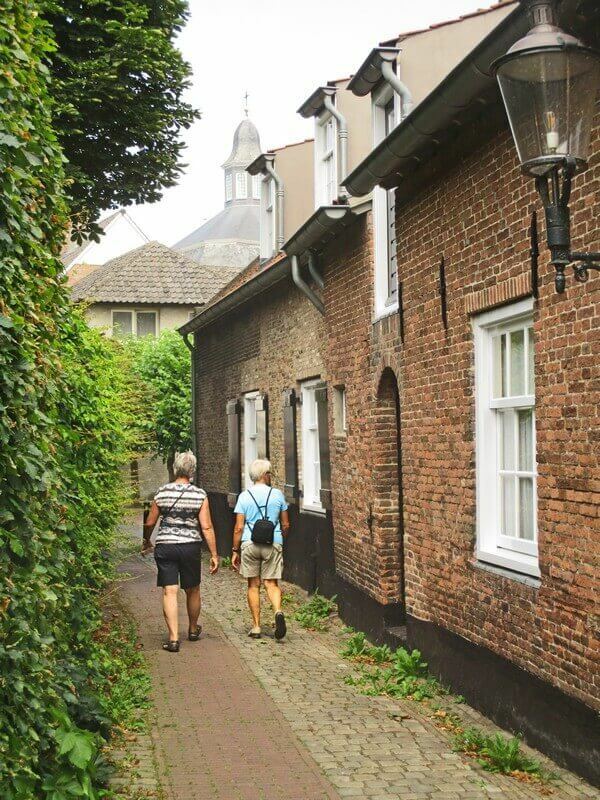 In Ravenstein you can visit the Tanner’s Cottages in the city park. 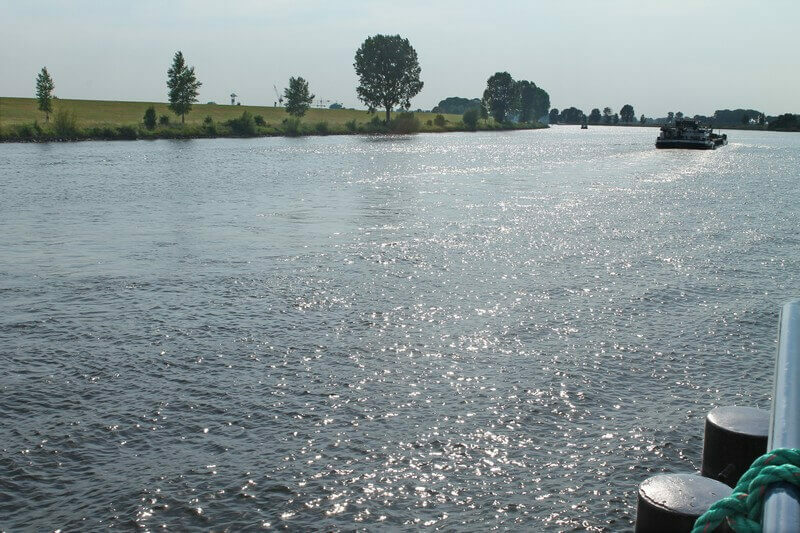 From Maasbommel you will join the barge again on which you will have a nice sail to Heusden, a very beautifully restored fortified city. 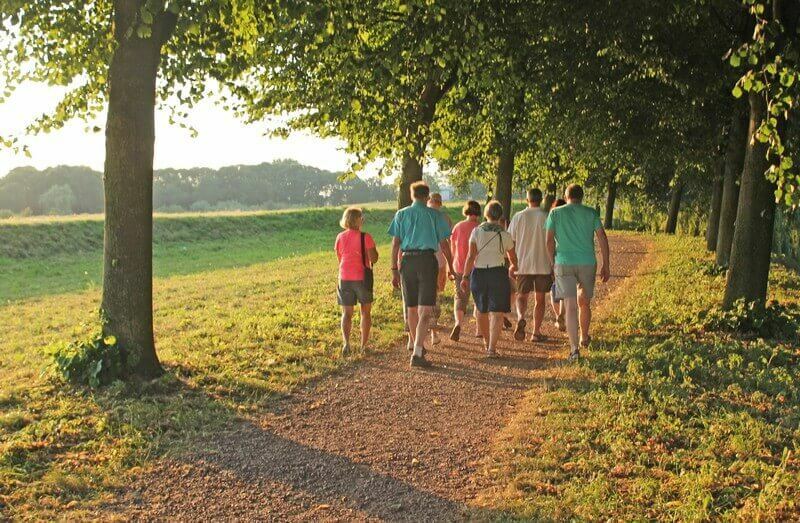 If you book this tour – with departure on July 13, 2019 – July 10th, you’ll receive a €100 discount per booking. 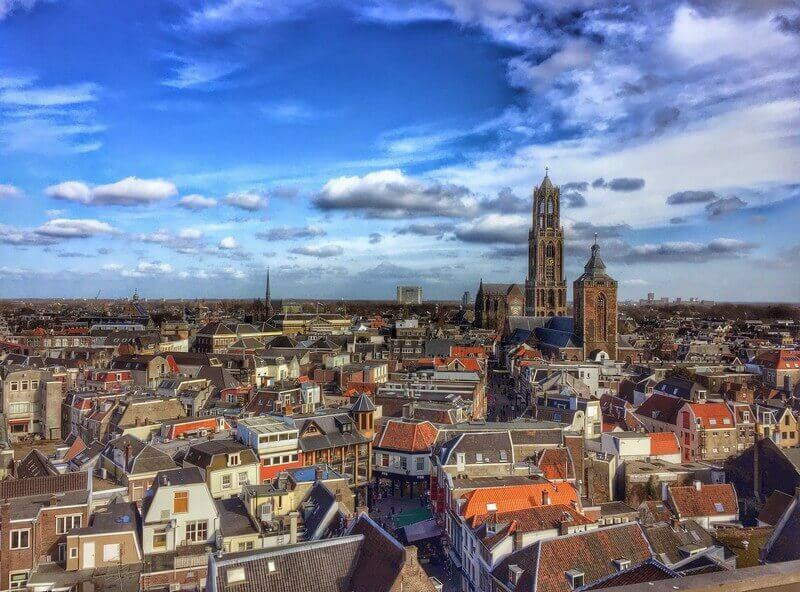 Maastricht – Amsterdam: departures on May 16 and 30; June 13 and 27; July 11; August 22; Sept. 5 and 19. The minute you step on board of the Sarah, you immediately feel the friendly atmosphere. 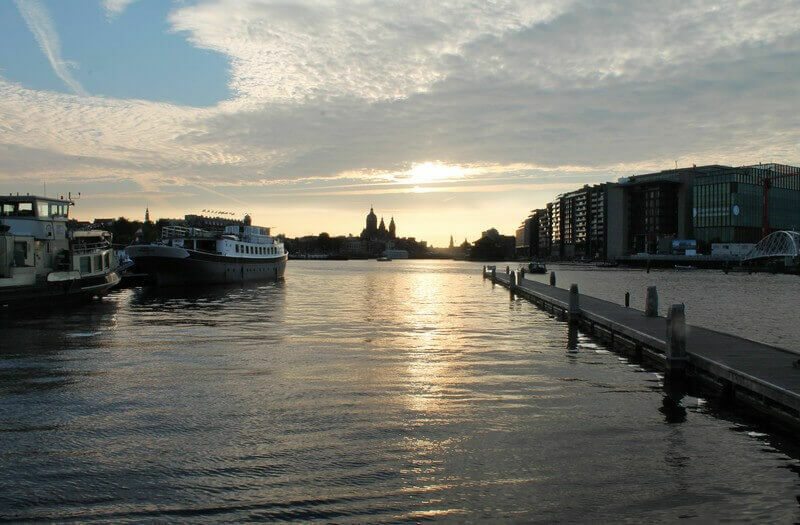 This cozy barge is roomy at the same time; it offers accommodation to 20-22 guests and besides this, there is enough room for a spacious lounge and restaurant area with a modest bar. If the weather is fine, the meals can also be served outside, on deck. From here you have a wonderful view. Below deck there are 8 comfortable twin cabins (2 have an extra bunk bed) and 2 doubles, all with a private bathroom. E-Bikes of the brand Velo de Ville CEB 200 with Nexus 7 gears, 4 support levels and hand breaks only (or a comparable brand/model). E-Bikes are only on request, limited number available, early bookings strongly recommended.